Choose The Best For Your Ford Windshield Repair And Replacement in Toronto! National Auto Glass has been offering windshield replacement and auto glass repair services for Ford cars for over a decade now. We have repaired and replaced glasses of almost all models of Ford. Our technicians are certified professionals who will deliver a flawless and prompt experience for our clients. Allow the Ford windshield repair technicians of National Auto Glass repair or replace your damaged Ford windshield, Ford side door glass, or Ford back glass. We deliver superior services at reasonable prices. All our previous clients have referred us in their social circles. We surely won’t disappoint you. So, don’t settle for mediocre workshops, especially when you have easy access to one of the best Ford windshield repair workshops. National Auto Glass has proudly served the local community members of Brampton, Toronto and GTA for many years, offering assistance to many customers in repairing and replacing auto glass for their new and used vehicles. In addition, we even offer same day services in Brampton, Toronto, and the Greater Toronto Area. We understand the busyness and hectic schedules of our clients, and therefore, offer mobile services. This means, once we receive your call, our trained technicians will arrive at your location and do the needful. At National Auto Glass, we comprehend the value of your car, and that’s why we put in a lot of dedication and hard work into every repair and replacement that we do. With us, have no anxiety and worries as we will take very good care of your car. Over and above, our certified professionals are even trained to handle all of the insurance paperwork. We will work with all insurance companies and ensure a seamless experience. So, all in all, you don’t have to worry about a thing! 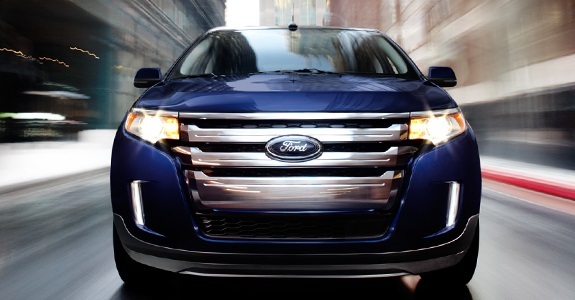 Clearly, Ford is one of the top 3 car manufacturers in North America. At National Auto Glass, our experienced technicians will ensure that only OEM or OEE quality glass and parts are used in your Ford. Our glasses have long lives and are 100% safe as per auto glass standards. To know more about auto glass repair and windshield replacement services, call us at 416-294-0245. National Auto Glass has two auto glass workshops – one in Brampton and another in Toronto. Feel free to drop in anytime.